Everything was exceptional!! Nothing could have been done any better!! We received excellent service. Thank you First Team Auto!! The folks here are great! I've done business with them since 2008 and am very happy with them. Service team is also great! They always talk to you about work needed before they do anything. And I've been treated like one of the family! Mike was fantastic. Well above my expectations. My salesman and the whole experience was amazing. I look forward to continue to work with you in the future. We had a great experience purchasing our new Atlas! Dale and Harold were great salesmen, and Juan made the financing experience a breeze. We had great, personable conversations with almost everyone in the dealership and felt right at home. Highly recommend! Really enjoyed shopping for a new Volkswagen at First Team. I definitely have to brag on the service center here! They have been nothing short of amazing while fixing my car. I bought my 09 Volkswagen Tiguan from a not so great dealership who sold me this car with a ton of problems, and the service center fixed all of them in a short time frame. They also offered me a rental during my service, which was $35/day and I was nervous about paying for it since I’m in the middle moving, and when I got there today to pick up my car and pay for the rental, they cut me a HUGE break on my rental charges! I couldn’t be more thankful for the courtesy from the service manager, Harold Woody. If you have a Volkswagen, I highly recommend getting all your repairs here! My husband and I had a great experience here! Tim foutz and Joe Guererio (spelling might be off) went above and beyond to help my husband and I leave with a new vehicle! They made us feel very comfortable and were very tentative to our needs through out the whole process. 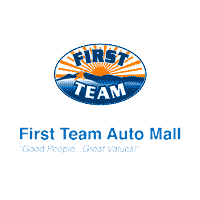 I highly recommend First Team Auto to anyone looking for a new vehicle. There was no pressure to purchase, but much information was provided. It felt as though the sales person was helping me to make a decision instead of trying to sell me something. Great experience! As a member of the “Subaru family”, I would like to express my gratitude to First Team Subaru! We are a family of Subaru owners with 9 of these beauties between 4 families! Thank you so much to this awesome team that took great care of my Coast Guardsman today while he was in between duty stations. There is nothing worse than trying to stay on schedule and you have car issues. This awesome service department got his car in and out quickly!! I would highly recommend them! Not only was the original issue taken care of, but also a second issue was detected and fixed. As we have several USCG pages and many of these people who are looking for recommendations, I am more than happy to post my praises for other Coasties and their families to read!! You are to be commended! Thank you!! First Team did not have the Surf Blue Kona I wanted, but I took a test drive with Tracy and she was so helpful and informative, I had to buy in Manassas, as they had my car in stock, but I look forward to having First Team handle all my service and maintainence. Please do see Tracy, though for first rate customer service. Tracie,Jeff and everyone at First Team Hyundai was excellent and very helpful. I have a couple of friends asked me where I got my new Santa Fe, I reckemend First Team Hyundai!!! I told Tracie what I was looking for, she got me in the Santa Fe I wanted. She took the time with me to explain everything about the vehicle, there is a lot of electronics on the Santa Fe. She even wanted me to be sure this was the vehicle I wanted. She gave me a few days to really think about buying this vehicle, she wanted me to be sure. That is a great sale’s person. Tracie meadow is who I would recommend as a sales person, she ‘s the Best. Thank you Tracie and everyone at First Team Hyundai. I really love my 2019 Santa Fe Limited.!!!! Great service and good staff. The salesman, Tony, was personable but should have a bit more knowledge about the vehicles they are selling. I asked about an owners manual and instead of checking (it was in the glovebox), he didn't know. He showed us how to use the remote start-using a procedure that the owners manual counter indicated! And he managed to irk my husband by cracking jokes about where he was from. Not cool. You don't know how people will react to things like that. He (Tony) did apologize. The business itself was willing to work with us and almost got me the payment I was looking for. And I appreciate that alot! The vehicle appears to be in good condition, however their detail people need to pay attention to their work. Wax was left all over the car. Overall, I would recommend them. They were polite, professional, accommodating and willing to work with you and the experience did not take all afternoon! Great service! Salesman not pushy. Horatio is the best! Dealers where great, got everything done quick! Tony was very easy to work with today. John was a great salesman that was patient and exceeded our expectations. We would recommend him and will use him for car sales. This passed weekend went shopping for a new car and I highly recommend talking to Tim Foutz in sales and the main man to talk to in finance is Juan Rameriez they did a great job! Thanks again for all your help!